That’s not news in and of itself—incisive commentary on current events is one of South Park’s signatures. 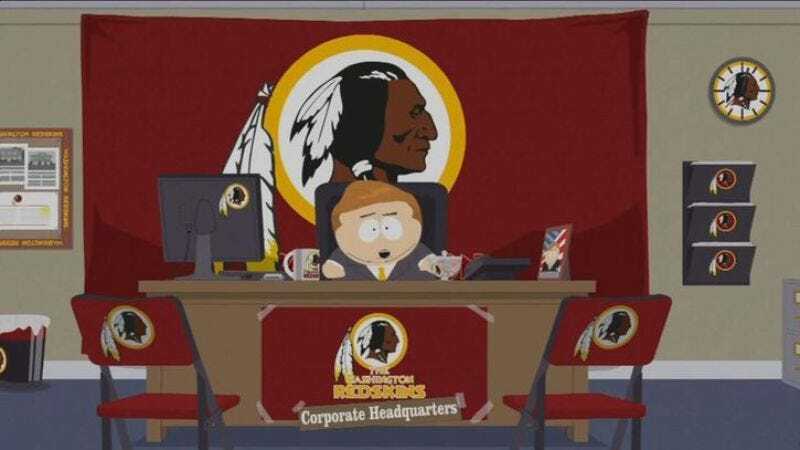 The interesting (and frankly, delightful) part of this story is that South Park chose to run a full minute-long clip breaking down the absurdity of Redskins owner Dan Snyder’s defense of the name as a promo for its new season. They then bought ad time and played the promo exclusively during a Washington Redskins game. The ad only aired on TV in the Washington, D.C. metro area, but thanks to the magic of YouTube, you can watch it below as well.